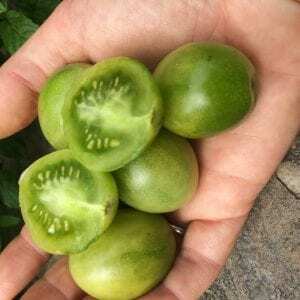 An Abenaki ground cherry variety from Vermont from Fred Wiseman’s project – Seeds of Renewal. They are small bright yellow fruits, almost orange, which hide in an “envelope” whose texture looks a bit like paper. The physalis are part of the same family as the tomatoes. 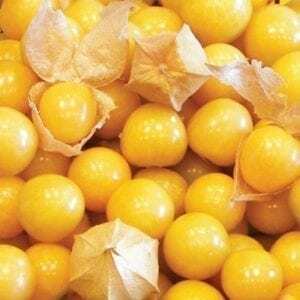 Ground cherries have a very fine and delicate taste, sweet and at the same time tart. 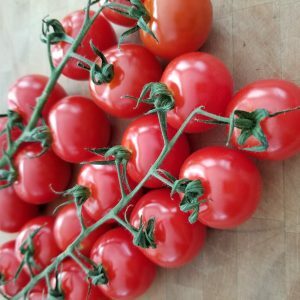 These tomatoes are both juicy and prolific. The sweet flavor of the tiny (1.5″) round fruits is considered by some to be the best flavor of medium-sized cherry tomatoes. Great for just popping in the mouth or for salads. Prolific and juicy beefsteak tomato. 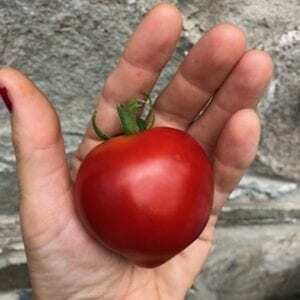 This compact fruit looks more like a slicing tomato than a beefsteak tomato. Originally from the Ukraine. 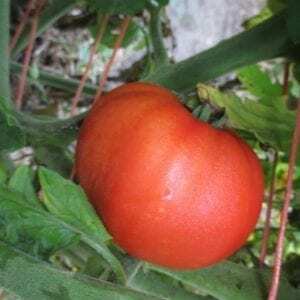 The story behind this tomato is that it comes from the Garden of Mikhailovich Maslov who gave the name Cosmonaut Volkov after his astronaut friend Vladislav Volkov who died as he was in re-entry to earth on his first trip from the earth station in orbit. Now that is true friendship. Early Annie tomatoes are great producing plants that come up earlier than most other tomatoes during the summer. Emerald Gem Melons were introduced by Burpee’s Seed Company in 1886. Now considered a heritage variety. A very cute heart shaped tomato, this plant produces very steady and constantly throughout the season. It is at risk of extinction and is a Quebec heirloom variety. 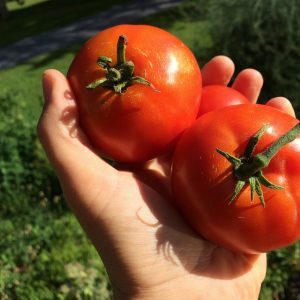 These tomatoes are both firm and prolific. The sweet flavour of the tiny (1.5″) long fruits is considered by some to ressemble that of a green grape. We had a hard time keeping up with the amount of tomatoes that this plant was producing. Great for just popping in the mouth or for salads. The pepper is native to Central and South America, An American favorite since the 1920s. Popular since the 1920s, this is the golden version of the red California Wonder.